Our new high cube double door 40 ft sea containers combine space and accessibility with impeccable presentation and durability. 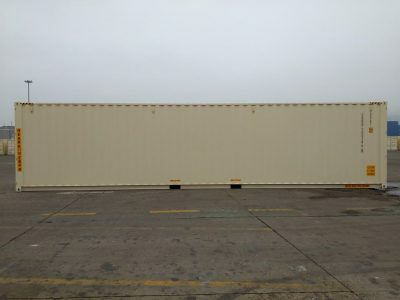 These one trip shipping containers stand at 9.5 feet (approximately 3 metres) in height, and feature swing back double doors that open out to 270 degrees, and allow easy placement and removal of large or odd-shaped items. These containers are built with corten steel and are vermin-proof, weather-resistant, dry, secure, and guaranteed to stand for years.